All images taken from Google Street View. The City of Batangas took over from Tanauan City as the most competitive city in Batangas Province according to the 2017 Cities and Municipalities Competitiveness Index released last month by the National Competitiveness Council. 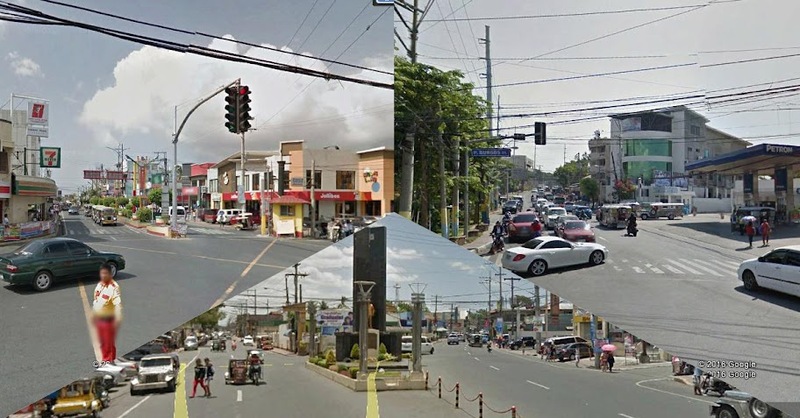 Lipa City is ranked third, as it was last year. The rankings of this article are taken from the aggregated data on all the country’s cities, regardless of classification, i.e. highly urbanized or component city. The lowest rank is 145. In previous years’ surveys, there were only three pillars that were measured: economic dynamism, government efficiency and infrastructure. Batangas, presently ranked 17th nationwide, continues to be the province’s most economically dynamic city, as it was in the 2016 survey. Lipa took over from Tanauan at second, and is behind Batangas City by a mere .0965. All the province’s three cities are impressively ranked inside the Top 50 nationwide as far as Economic Dynamism is concerned. However, all three cities scored far lower than they did last year. Tanauan City has the most efficient local government among the three cities of Batangas and is ranked an impressive 26th nationwide. Batangas City is 60 places down at 86 while Lipa City is a notch further down at 87. All three cities had better scores in this pillar last year. The province’s two bigger cities, Batangas and Lipa, ranked considerably higher than Tanauan in terms of infrastructure. Batangas City is ranked 65th nationwide while Lipa City is five places further down at 70. Tanauan City, meanwhile, is at 108th. As with the two previous pillars, all three cities of Batangas scored better last year. Finally, in the new pillar that is Resilience, both Batangas City and Tanauan City far outperform Lipa City. Batangas City is 21st nationwide while Tanauan City is at 35. Lipa City is way down the nationwide table at 96. To cap, Batangas City wrested the title of the province’s most competitive city by emerging on top in the pillars Economic Dynamism, Infrastructure and Resilience. Tanauan City, last year’s most competitive city in Batangas, topped the Government Efficiency Survey. Only Lipa City did not top any of the four identified pillars. Batangas City is ranked 33rd nationwide while Tanauan City and Lipa City are at 44th and 55th, respectively. To see the methodology used in arriving at these results, please visit the Cities and Municipalities Index web site. The complete sets of data are also at the same site. To see the 2016 results for Batangas, read Tanauan, Batangas City Improve in 2016 National Competitiveness Ranking; Lipa Drops 22 Places. To see the 2017 rankings for the municipalities of Batangas, read Lemery, Bauan, Rosario, Calaca, Taal Top Batangas Municipalities in 2017 Cities and Municipalities Competitiveness Index.